"Libena Agro Build" - The crisis - it's time to grow. 2015 turned out to be difficult for elevator workers, as well as for producers of elevator equipment. Some businesses suffer losses and reduce the number of working days per week. And in Kharkov Company "Libena Agro Build", which recently met Elevatorist.com, this year, on the contrary, it was the breakthrough year. 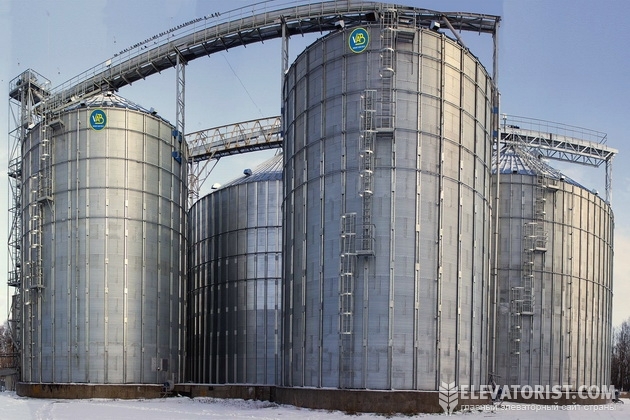 The company has set its silos for dozens of elevators in Ukraine and brought to market a range of transport equipment. "Libena Agro Build" is a corporation which consists of 8 companies. Its founder and leader - a native of Lebanon, Said Choufani. In our country, he came to learn, but fell in love with a charming Ukrainian woman, started a family and stayed here. Ukraine has become a home for him. His business started with Said Shoufani rolled profiles for plasterboard systems. Today the "Libena" is engaged in many activities, the main of which - the metal. The company - a family business. Each enterprise is headed by someone from Choufani dynasty. Head of "Libena Agro Build", which is engaged in elevator direction, the son of Said - Daniel. He became our guide. According to Daniel, working in the family company has a huge advantage. Enterprises are interrelated and are made almost everything except metal: there are two pipe plant, the company that produces mills for a variety of profiles and pipes, tool factory, agricultural production, formwork, special flooring. So, if some units there are difficulties in the work - everything is solved quickly. Family ties are welcomed not only among the leaders, but also among employees of enterprises. In "Libena" has 4 thousand people. "We have the whole family working. Those who come to work as porters and welders, now grown to management positions and led to us their wives and children. We are very proud of ", - says Daniel Choufani. According to him, the enterprises which produce agricultural equipment, about 350 people work today. And in this time of crisis is not only not reduced one, but took 100 people at the expense of new activities. The founder of the "Libena" Said Choufani thinks business should be built so that it can develop children and grandchildren. The principle of immediate benefit to the company is not acceptable, everything is done with an eye for the future. "My father is very fond of Ukraine, I think, even more than the first home. And when discussing the Ukrainian production, not only ours, but also third-party, he tries as much as possible to get away from imports and only work with Ukrainian materials, except for the manufacture of galvanizing. Over the past 2 years we have made significant import substitution. The only area in which, unfortunately, this can not be done today - elevators. In this direction, we only use high-quality imported steel, "- says Daniel. Elevator direction of "Libena Agro Build" began with the production of silage. The first container of cereal company released 6 years ago. This silo immediately bought quite a demanding customer - the agricultural holding "Land and Freedom". Complaints to the "first-born" not have been reported. "In the manufacture of the first silo landmark for us were the capacity of the GSI. 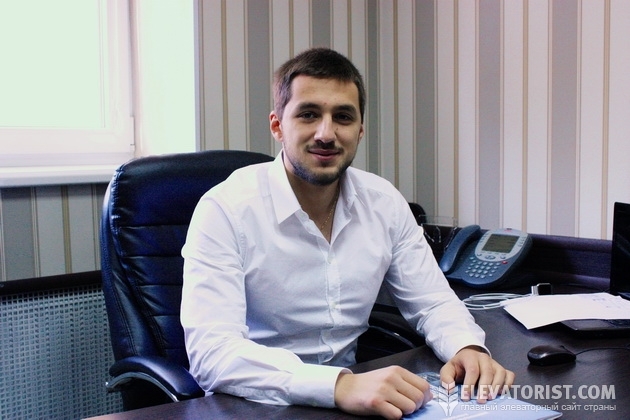 We have improved them and made their constructive variant ", - says sales manager Alexander Yarmak. The main parameters - pitch wave storey height, the number of ribs, four rows of metal overlaps strength characteristics - in silos "Libena Agro Build" calculated for intensive loaded port elevators. In the case of silage used quality German hardware strength class 10.9 units. Today, a special department is working on the development of the structural elements of silos in the company. As acknowledged by Daniel Choufani "Libena Agro Build" gathered at the top engineers and designers, "natives" of the Kharkov Aviation Factory and National Aerospace University – Kharkov Aviation Institute. The university even created special courses oriented on manufacturing company. If we talk about silos, in addition to its design, yet another "whale" which keeps the quality - is metal. As we were told in the "Libena Agro Build" here does not skimp on materials. Metal, galvanized steel, bolted connections and hardware used only imported - Finnish and German. "Today, on the elevator market is very tough competition, and many, especially domestic manufacturers Silo began to reduce the price of their products by reducing the quality of the metal. We went the other way. 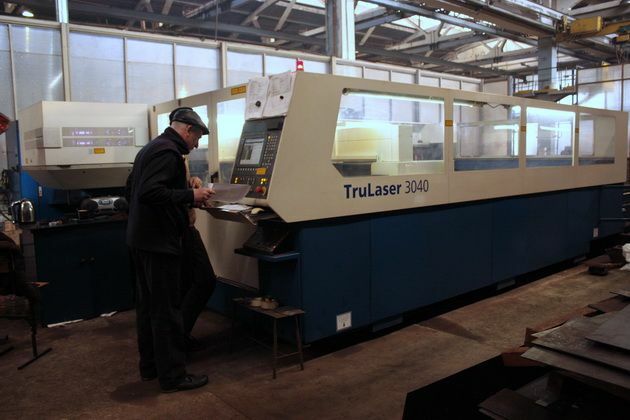 Instead of cheaper production costs, tightened the belt tight and reduced their profitability. At first it was difficult to accept, but thanks to this step, we have increased turnover, and won the trust of customers, which allows you to compete in the elevator market", - explains Daniel Choufani. "Libena Agro Build" not "play" with any constructive or with metal thickness. If the rate in Ukraine snow load on the roof of the silo -180 kg / m2, then we lay it with a reserve of strength - 240 kg / m2. There are some requirements, which we did not go through because of the price, yet not sacrifice quality. We are talking to customers, even if we are with them today do not work, but in 2-3 years they will still come to us ", - says Alexander Yarmak. Today elevator equipment of "Libena Agro Build" is already installed on more than 80 granaries of Ukraine. Among them are as small elevators and large, and even the port terminals. "This year we have put three very sophisticated operational cone container for terminal of company Allseeds. We compete with foreign suppliers, and our products have recognized the best. Customer satisfied with the build quality, delivery time, maintenance and support during installation. Now we are negotiating the supply of long-term storage silos for the second phase of the terminal ", - says Alexander Yarmak. To compete with foreign manufacturers of elevator equipment, you must have a high level of production equipment. This is well understood in the "Variant Agro Build". 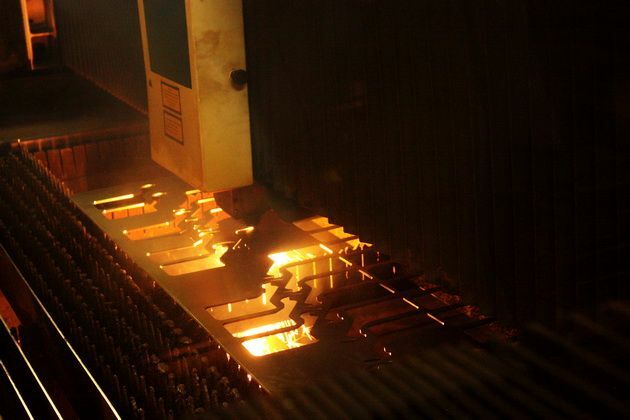 Today the company is the most modern metal processing - laser cutting. 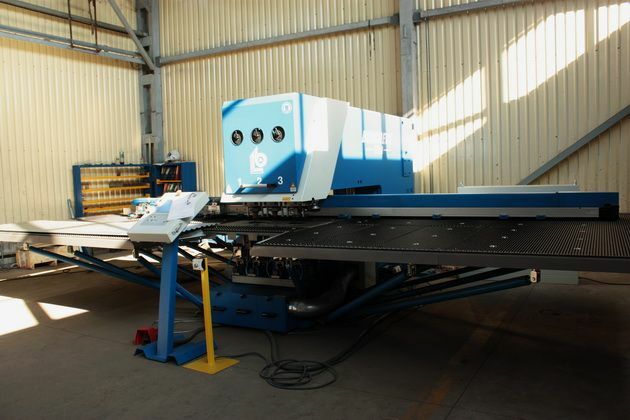 Installed and started punching, modern and expensive machine that has no analogues in Ukraine. Installed bending machines, CNC benders. In addition, the two rolling lines of work in the enterprise. "One allows you to roll the leaves up to 2 mm. The second - unique in Ukraine - rolls a single sheet up to 4 mm. Many manufacturers put sandwich panel of two interconnected sheets: 1 and 3, or 2.5 and 1.5. Our company "Ipris", which is included in our corporation, one of the few in our country, it can perform, "- emphasizes Daniel Choufani. According to him, every detail of the silo of "Libena Agro Build" has its own number and markings, which greatly facilitates the assembly. Through labeling any installation company can collect silage of "Variant Agro Build" correctly, as a kit "Lego". At all stages of production, quality control is carried out. Technical Control Department experts check every detail for compliance with design documentation, collate and correct bend radius, the accuracy of all holes. All products are warranted. If desired, any client can see all the production processes with your own eyes, as did the editorial office of Elevatorist.com. This year, the "Libena Agro Build" in addition to the manufacture of Silo launched three additional areas: the production of conveyors, augers and elevators. According to Daniel Choufani, was recruited a separate staff for the development of new systems. "We have assembled very experienced professionals who have many years of work in this area. For a year they have created a competitive and quality product - developed, launched and sold about 50 augers, 40 of which went for export ", - the head proud. The company "Libena Agro Build" fits everything comprehensively. If manufactures equipment for livestock farms, then test it on his own farm. Not surprisingly, our humorous question of building their own elevators, Daniel Choufani quite seriously said that there are plans, but not this year. As soon as the company will increase the land bank, then will decide to build its own elevator. And it will be, perhaps, the first company in Ukraine, which itself for itself develop the project, manufacture equipment and build a granary. In the structure of "Libena Agro Build" works "Daks Company" that can perform everything from pre-engineering solutions, design, excavation, construction, installation and finishing with the commissioning of the complex. 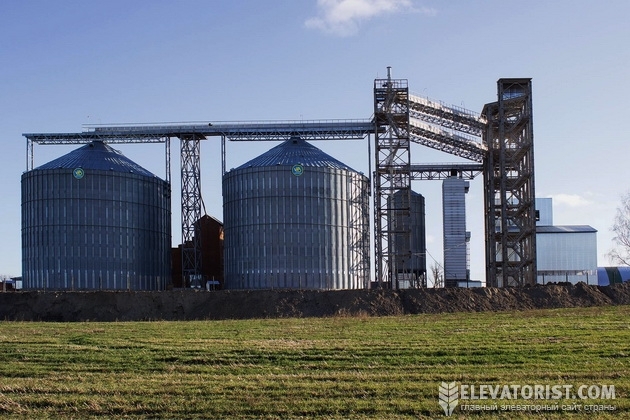 In the meantime, private elevator just in the plans, "Libena Agro Build" builds "turnkey" modern silo capacity for simultaneous storage of 60 thousand tonn to the customer and has many other orders, which promises to tell after their implementation. The goal of an ambitious young team - to gain a foothold in the Ukrainian market, and then to conquer Europe and the countries of the East - Iraq, Egypt, Lebanon, Saudi Arabia. On the foreign market they make a big bet.